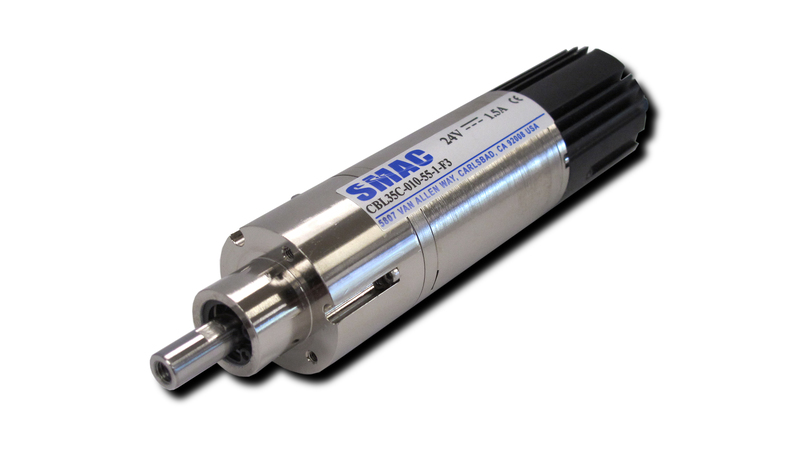 SMAC offers a wide range of programmable electric actuators based on Moving Coil linear servo motors. All SMAC actuators are fully programmable permitting the user to exert complete control over force, acceleration, position and velocity. This makes it ideal for implementation in industries where SMAC's patented 'Soft-Land' procedure allows the actuator to both measure and manipulate very delicate and high value components with ease. SMAC designs and manufactures advanced electric actuators. All SMAC actuators are quality products specifically designed and built for long service. Therefore, all actuators appearing in this website are guaranteed for a period of 12 months from the original date of shipment from our factory. SMAC also offers Rebuild Program for actuators that are no longer covered by the SMAC 12 Month Product Guarantee.